This is the newly shoveled path to the shed. Of course, we would need something out of the shed while it is surrounded by a couple of feet of snow and topped with ice from one of the last storms that went through. After the shoveling was done (and not by us thank god), I thought this picture was a sign of hope for all things green. 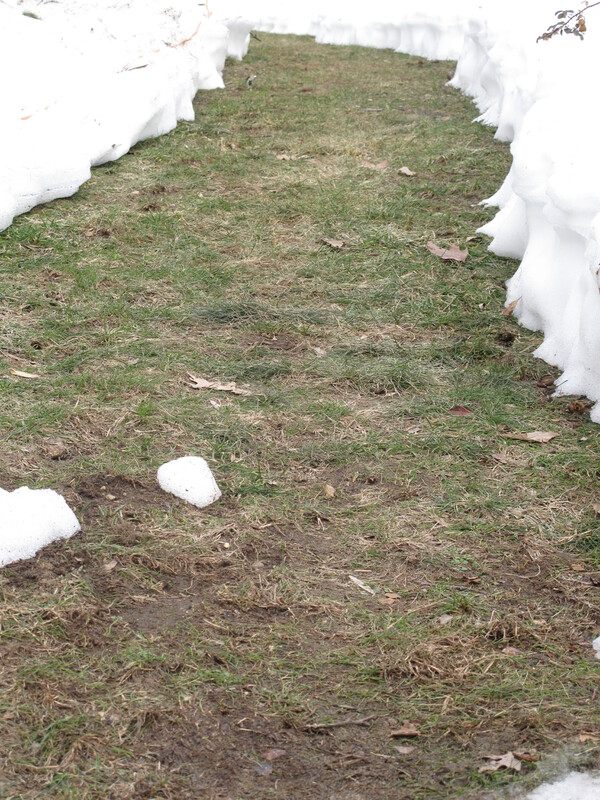 As you can see, even under the most terrible winter conditions imaginable, there is green at the bottom of the drifts. Green, here’s a color we haven’t seen for a while. This reminds me that spring is right around the corner. In fact, it has even warmed up here a little bit with today’s temperature at a balmy 54 degrees. Now is the time that I get myself prepared for the gardening that is right around the corner. I find myself once again buying too many vegetable seeds that I don’t need, figuring out which new plants I want to buy and plant in the flower gardens and how I will probably once again be wishing for winter about mid August when I feel totally overwhelmed by all that is growing around me. Tell me how you are preparing for spring in your neck of the woods? 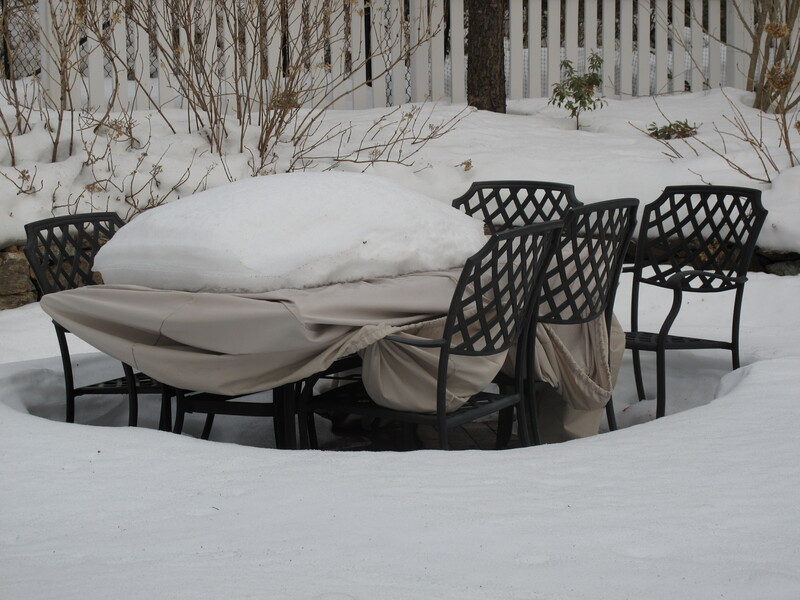 Oh, by the way, we still have a lot of melting to go here in Connecticut. Table for 5 anyone?